“Dr. Lilly” has been an educator and teacher, coach, therapist, group leader, and consultant for over 25 years, offering support and healing to people as they face the inevitable challenges and stressors of life that deeply affect their health and well-being. She was trained in Depth Psychology, which differs from the more traditional Clinical Psychology in that it focuses on the relationship between and care of mind, body and soul. 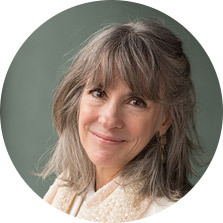 Her work beautifully complements and enriches Integrative Medicine since body, mind and soul are all interconnected. For example, we all know that stress – which is ever-present – affects our physical health, can obscure good, clear thinking, and can disconnect us from the vast well of our own inner resources. Dr. Lilly draws on a variety of strategies, techniques and approaches to address the ways that stress affects you, and to promote habits toward health and wellness. She uses her skills and tailors her gifts to meet your individual needs – since we are all unique – as you face and work through your own health challenges. Through education as well as personal, relational, and conversational exchanges, she helps you explore the barriers blocking you from the healthy life you want, and assists you in establishing healthier habits of mind, body and soul. People today are becoming increasingly aware of how important their everyday choices are with regard to their health and well-being, and yet many of these choices bring changes to our lifestyle that are difficult to make. Dr. Lilly has had to make many of these lifestyle changes in her own journey to a healthier body, mind and soul, and intimately understands how to navigate these tricky waters. She is skilled in helping people examine and change old, outdated, and unhelpful patterns of thought and behavior, replacing them with the light of new consciousness that leads people to finding their own inner strengths and wisdom. In this way she empowers people to find more positive energy and self-awareness, which in turn helps them make better choices in their ongoing expedition to healing, health and wellness. As part of the LivAware team, think of Dr. Lilly as a personal ally on your journey to better health and a more peaceful sense of well-being. She is available to assist you through individual or group work as she guides, supports, educates, coaches and befriends you in your personal quest to greater self-knowledge and awareness, and in your efforts to make healthier choices and lead a happier life.